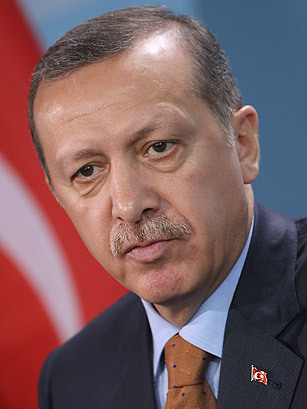 Thanks for liking Recep Tayyip Erdogan. Like TIME on Facebook for more trusted news analysis, award-winning multimedia & behind-the-scenes looks with TIME editors. No leader better personifies the dramatic changes in the Middle East over the past year than Turkey's Prime Minister, Recep Tayyip Erdogan. Leader of a party rooted in political Islam, he won re-election in July to an unprecedented third term of office, having overseen Turkey's emergence as the world's second fastest-growing economy (after China). He was hailed as a role model by ascendant Islamists in post-dictatorship Tunisia and Egypt, where he urged the building of secular democracies. And while he has openly challenged the U.S. on Iran and Israel  which once enjoyed close ties with Turkey  Erdogan remains a key U.S. ally, with a strong commitment to NATO. He has also challenged Tehran by working to topple its key Arab ally, the regime of Syrian President Bashar Assad. If anything, Erdogan is likely to become even more central to events in the coming year with the unfolding of the Arab rebellion, the U.S. withdrawal from Iraq and mounting international tension over Iran.